What are those pairs of numbers in the road logs of Yellowstone Treasures? Comments Off on What are those pairs of numbers in the road logs of Yellowstone Treasures? Elk crossing Madison River, September 2016. Here’s one letter we just received on April 1, 2018. Just purchased Yellowstone Treasures and still trying to figure what to visit in June this year and which trails to hike. I have one question, which I still can’t find the answer to while following the book. You have numbers in front of some trails, like 0.0/20.5 “Yellowstone National Park boundary” on page 33 or 0.9/19.6 Dailey Creek Trailhead, and many others. What do these mean? How should I use them in planning the trip and the places to visit? 0.0/13.4 Norris Junction. . . . But suppose you’re doing the chapter in the other direction, because you entered the park at the West or South Entrance and are coming from Madison Junction. Then you can see that the hydrothermal area is 9.5 miles from that end of the road (the second in the pair of numbers). See the map to confirm that Artists’ Paintpots is about a third of the distance from Norris to Madison (and for a recommendation that you look across the road in Gibbon Meadows for wildlife such as elk or bison). We don’t really expect everyone to be zeroing their trip meter in the car every time they come to an entrance or a junction (though you could!). And people even use the book when they are riding on a bus tour. So the mileage indicators serve to show you the order of the sights and help you plan approximately how long it will take to get places. For example, if you are heading north to Norris, you know it’s just 0.6 mile after the Artists’ Paintpots to a picnic area. When you are planning your trip don’t forget you can also use the driving distance chart on pages 20-21 to figure out how much you could get to see in a day. Hope that helps! Photo Credit: The photo of elk is by Suzanne Cane. We use it on page 41 of Yellowstone Treasures, updated fifth edition. Turnout at Holmes Point, named for W. H. Holmes after the initials W. H. H. were found on a rock here. Holmes was the artist and geologist with the 1872 and 1878 Hayden Surveys. From this point the road follows Mary Bay of Yellowstone Lake for a while. Mary Bay was named for Mary Force, the girlfriend of Henry Elliot, artist with the 1871 Hayden Survey. Mary’s name remains on the bay, though when Elliot returned home, he married someone else. The rounded forms and steep sides of Mary Bay attest to the fact that it is an explosion crater. The Mary Bay crater dates back about 13,800 years. The bay has lots of underwater hot springs and the hottest spot in the lake, measured at 212°F (100°C). What if you have never heard of the Hayden Surveys? The Chronology chapter at the back of Yellowstone Treasures tells you about the 1871 one: “Dr. Ferdinand V. Hayden leads the first of three congressionally funded Yellowstone expeditions” (p. 321). A feature found in volcanic terrains. A sudden pressure drop causes hot water to flash into steam and blast a hole in Earth’s surface. Well, you might be surprised to see an author posting this for all to contemplate. I’ve always figured that if someone bought my guidebook and didn’t like it, they would just give or throw it away and not write about it. Wrong! Here’s a lady who found she couldn’t plan her trip with this book. I had hoped that the two-and-one-half pages near the beginning where it lists all the Best Sights of Yellowstone (pages 17-19) would be just that kind of assistance to people who had limited time to spend in the park or little patience for all those words I wrote. I’m hoping that she just missed that section but that others will find it useful. 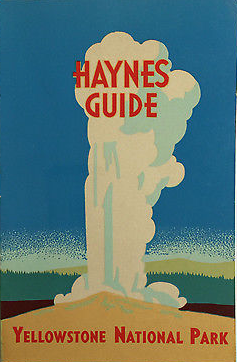 This book is probably great if you’ve been to Yellowstone before and know where you’re going. We’ll be going to Yellowstone for the first time this year, and this book is just not useful for planning the trip. The book is a set of road-logs: it tells you what sights of interest you will find as you drive along the Yellowstone roads. There is a lot of information but it is organized according to the road location, which makes it almost impossible to plan what sights you want to see on each day, unless you read the entire book end-to-end. I typically prefer having also cross-lists of points of interest that can be used for planning. My suggestion to Daniella. READ THE ENTIRE BOOK FROM END-TO-END. 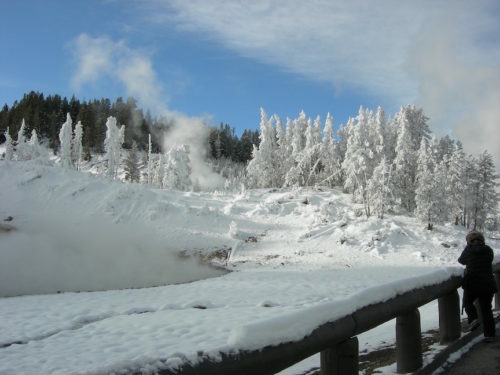 Before you go to Yellowstone you need to have a good idea of the many, many wonders that await you, and Yellowstone Treasures is the place to find out. The more you know, the better you will be able to formulate a plan. The time you take will be well spent, even though you obviously will not be able to see everything in one or even ten visits. 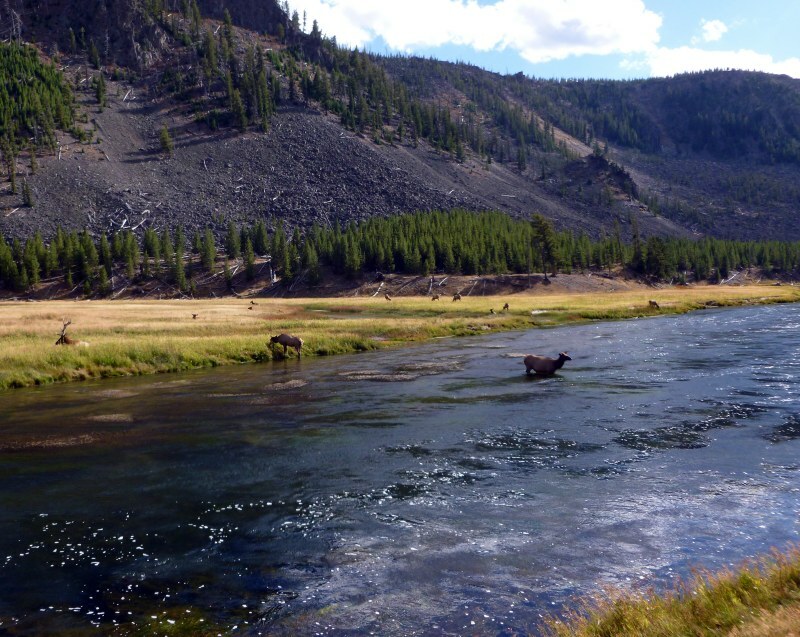 Have a great visit, Yellowstone is the most fabulous place in the world.